I'm trying to set up FB2K equalizer for vintage radio effect so the music sounds like 50s radios. Since I know nothing about this equalizer bands, I came here to ask the clever dudes to help me to set it up. It sounds really neat listening to Frank Sinatra, Elvis and Edith Piaf like it really sounded back in that time. ...It sounds really neat listening to Frank Sinatra, Elvis and Edith Piaf like it really sounded back in that time. It really comes down to what you want to hear. A real vintage radio wouldn't have that much deep-deep bass. And depending on your speakers (and amplifier), you may not be hearing what you're doing to the low end. Actually... You probably shouldn't be boosting digitally at all because if you turn it up the (digital) volume you can clip your DAC. The old Zenith radio I used to own (with an electromagnet on the speaker instead of a permanent magnet!) had pretty good response down to 80-100 Hz, and then rolled off on the high end starting about 3-4 KHz - it was a full-range driver about 10" in diameter. There was probably a little mid-bass boost too, due to the open-back cabinet size and cavity resonances. The classic Supravox RTF64 seems to be a clever choice. 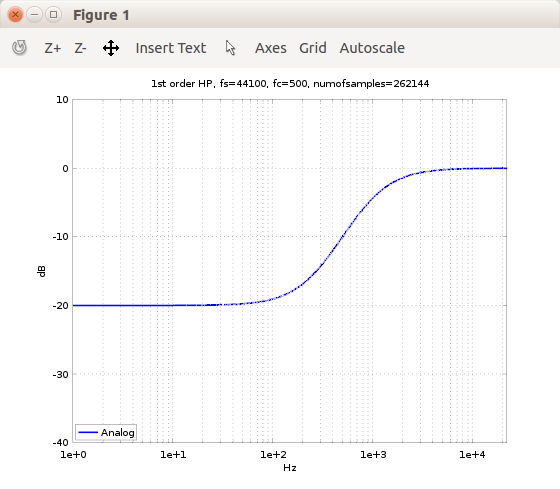 You can't do that only with a equalizer at least you also need a compressor or better a tube amp emulator (https://hydrogenaud.io/index.php/topic,33159.0.html). 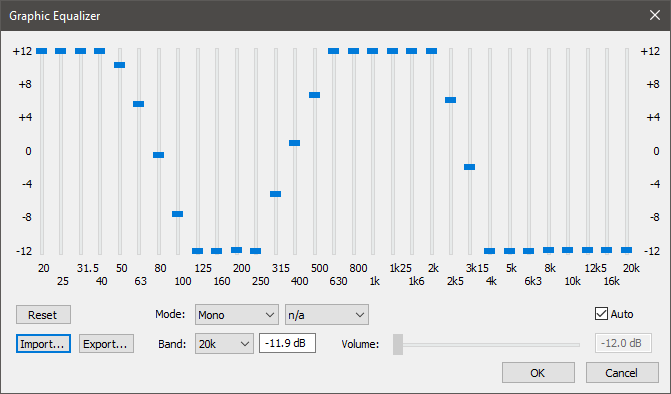 For the equalizer you need to cut anything above 8 khz (a t least -60db ), for the 6.25khz it has to be at least around -25db, 5kz at 0db or slightly lower, the lower cut off varied more even from program to program and typically was in the range 100-500hz some stations went even lower specially for music but they always tended to try to filter out or attenuate anything around the power line frequency, this was more or less their transmission equalization. Also using a receptor response like the linked by Juha is also a good option. You may want to try this free plug-in from iZotope, called Vinyl. It's available in several different plug-in formats, and if you scroll down the page, you'll see where one of the sound samples is "Old Radio". I have it, and it's just plain fun.